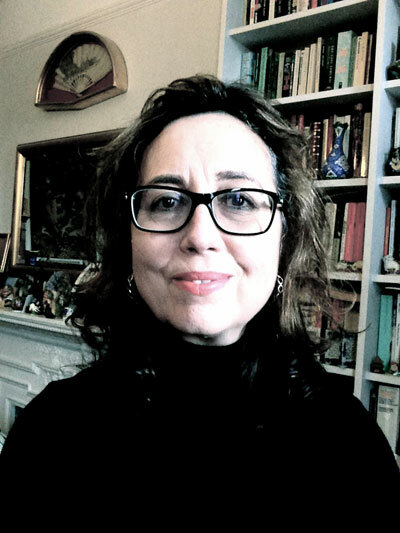 Isabel del Rio is a bilingual writer and linguist. She was born in Madrid, Spain, but has spent most of her life in London. She has a five-year degree from Madrid University and is a Fellow of the Institute of Translation & Interpreting (ITI) and of the Chartered Institute of Linguists (CIoL). She has extensive experience as a journalist, broadcaster and translator, including the BBC World Service, where she was a producer and presenter. For the past two decades she has worked as a linguist for an international organization based in London. She has published fiction and poetry in both English and Spanish. Her book “La duda” was shortlisted for two literary awards in Spain. Her latest book of short stories “Zero Negative–Cero negativo” was written in both languages as an indictment against bloodshed in its many forms: war, torture, capital punishment, murder, martyrdom. Spanish is her language of nostalgia, memory and exile, whereas English is her language of freedom, action and dissent. She takes part in poetry/prose readings on a regular basis, and is an established performance poet in the London scene.